John Daly is a pioneer in reality TV and the new media. He is a journalist, news anchor, speaker, writer, author, spokesperson, and TV host. He is best known as the host of of the ground-breaking show Real TV, the first all-video news magazine show. In 2016, Daly created Undercover Jetsetter, a travel, food, wine, and golf TV show that is produced entirely on the iPhone. 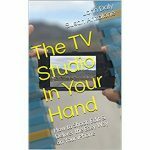 Daly’s co-host Susan Anzalone also produces the show with Daly and they have written a book called The TV Studio in Your Hand. That same year, he was inducted into the Nevada Broadcasters Hall of Fame. Daly’s skills as a host, a writer, and an interviewer have led to one thing: solid audience ratings. He has consistently increased audience share on any TV show or newscast he anchored. Real TV, distributed by Paramount Domestic Television, achieved the highest first year ratings of any show. Within two years, the all-video show was attracting more than 4 million viewers a night. Real TV also brought Daly an international reputation since the show was seen in all English speaking countries around the world. 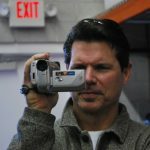 Daly’s pioneering attitude and on-camera skills are now providing services for small businesses. He is developing videos, TV productions, and virtual platforms for companies looking for an edge in marketing, distribution, and training. To broaden his knowledge base on the financial industry and the economy, Daly worked as a development officer for BNY Mellon’s Wealth Manage ment Group. Daly holds a license in life and health insurance as well. Despite being seen on TV worldwide and being away from the TV newsrooms, John’s background in news kept calling. 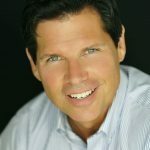 He became the main prime-time anchor for New England Cable News, owned by Comcast, in January, 2011, covering a wide-range of events from the brutal New England winter of 2011, the arrest of alleged mobster Whitey Bulger, and the GOP Presidential primaries. Daly has fully engaged the new media trying to reach an even wider audience. During the 2004 presidential election, friends and colleagues kept inquiring about Daly’s views and his sources of information in an attempt to understand what was fact and what was fiction. A few of them suggested that John write a book; which is what he did. 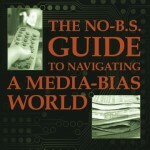 That effort turned into John’s first book called Truth: The No BS Guide To Navigating A Media-Biased World. It’s a simple how-to book for the everyday person to understand what’s really happening in the media. It’s written in a non-partisan, easy to understand style. As a result, Daly received endorsements on the book from both Republican and Democratic Senators. As an outgrowth of his book, and at the advent of writing a new, updated edition, Daly launched the weblog “Informed-Not-Inflamed” (www.informednotinflamed.com) to help decipher the explosion of media technology, new voices, and new manipulators that are invading our discourse. Three of the newscasts Daly anchored won regional Emmy awards and AP awards for best newscasts. The station’s ratings jumped from last place to a competitive second during Daly’s six years at the station. The station’s ratings have never been as good. Daly also launched a political talk show at KTNV called In-Focus. Each week, Daly would grill local politicians on the issues of the day. Previous to his stint in Las Vegas, Daly worked at WFSB TV 3 in Hartford, Connecticut, his hometown, where he also covered politics and the economy while anchoring the morning and noon newscasts, sometimes working fourteen hours a day. He covered the election campaign of the state’s a ttorney general who pulled off the upset; his name Joe Lieberman. Daly’s anchor talents were discovered at WPRI-TV 12 in Providence, Rhode Island where he covered politics and the economy as well as general assignment stories. Previous to that, Daly was a television reporter in New Bern, North Carolina at WCTI-TV 12. He embraced the job so enthusiastically that he was arrested for an investigative piece on pay illegally withheld from garment workers. The case against John was dismissed, but the victimized workers received all of their back pay plus damages. He also covered the re-election campaign of Senator Jesse Helms. 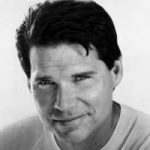 Daly graduated from Providence College in Providence, Rhode Island in 1978 with a Bachelor of Arts degree in English and the desire to become a writer. He also completed a graduate course at Columbia University in New York City for print journalists moving into broadcast journalism. After two years in public relations and advertising, he began his news career; first as a newspaper reporter for the Norwich (CT) Bulletin and the New London (CT) Day. Daly is avid about sports and fitness. His single digit handicap in golf leads him to numerous celebrity golf events throughout the country. John and his wife Teri, a personal trainer, have been married since 1985.